Corner of Prince and Wooster. 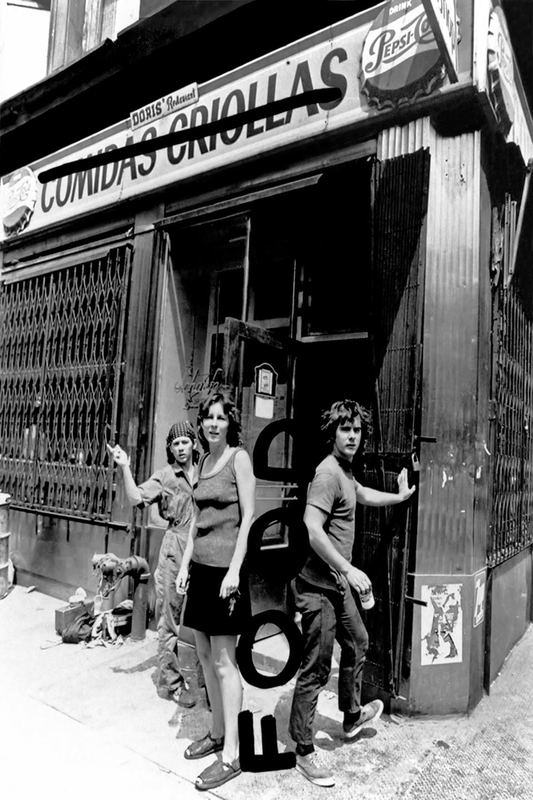 FOOD was a conceptual restaurant opened by Gordon Matta-Clark and Carol Goodden in 1971. At a time when SOHO was just starting to grow as the center of the avant-garde art world, FOOD was a landmark meeting ground for events, food performances and ongoing art projects by downtown artists. In tribute, a temporary restaurant will take form at A4 Space recreating the restaurant and an original menu from the period 1971 – 1973. Join us for a unique Iftar experience as we go back in time to a legendary period in NYC’s history. Screening at A4 Cinema: Gordon Matta-Clark’s film ‘FOOD’ (1972, 42') which gives rare insight into a day in the life of the artist-run restaurant from trips to Fulton Fish Market to accordion playing and late night parties. Screening of film is organized in partnership with Jean-Paul Najjar Foundation and Alserkal Avenue. The screening is free to the public. This event is held in conjunction with JPNF’s current exhibition Artist Run New York: the Seventies, on view until June 30th. This film documents the legendary SoHo restaurant and artists' cooperative Food, which opened in 1971. Owned and operated by Caroline Goodden, Food was designed and built largely by Matta-Clark, who also organized art events and performances there. As a social space, meeting ground and ongoing art project for the emergent downtown artists' community, Food was a landmark that still resonates in the history and mythology of SoHo in the 1970s. Courtesy of The Gordon Matta-Clark Estate and Electronic Arts Intermix (EAI), New York. Richard Landry, Gordon Matta-Clark, ‘Food’, 1972, Courtesy of the artist and The Estate of Gordon Matta-Clark. Screening is free, first-come-first-seated policy. Popcorn available a the venue.